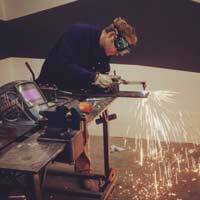 Molten Metal Works provides welding instruction and metal shop access to the community of Los Angeles. We do not certify welders or teach how to weld I-beams. Instead, we focus on what most people need: how to fix a fence, build their own furniture, and how to make sculpture, chandeliers, or custom motorcycle parts. We’ve got 4,000 square feet full of tools, the expertise to match, and a lot more patience than your seventh grade shop teacher. Classes are offered 7 days a week, with a bunch of one and two day classes in specific techniques and a bunch of 6 week project based classes. Private lessons are available for individuals or for groups, especially good for job training (non-certified welding especially). We are also available for project consulting. Matt Jones (me) founded the shop in 2009, starting with classes in the back of Machine Project, and in 2010 he got his own shop and has filled it up with classes since. 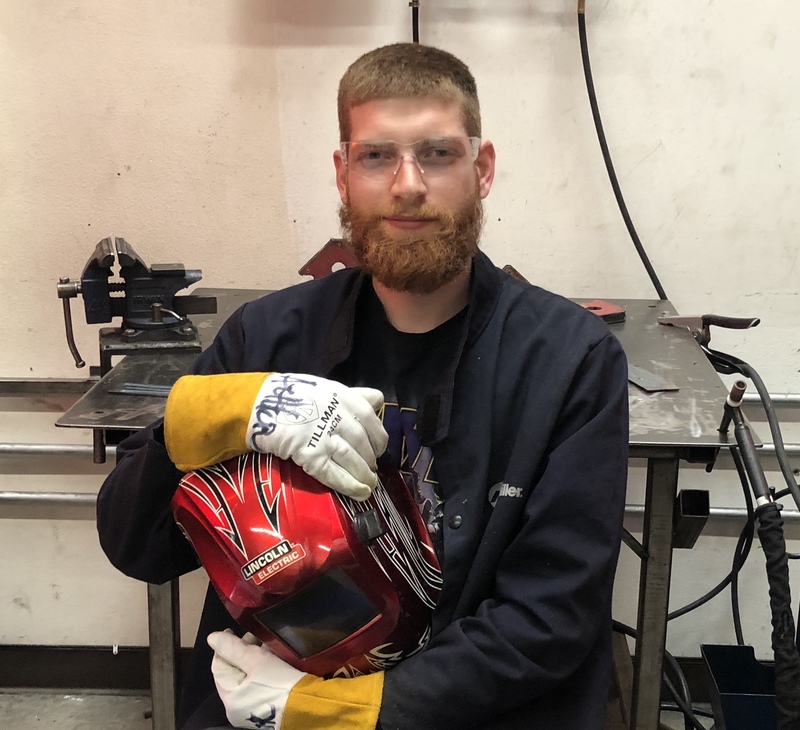 He’s been welding since 2000, learning in sculpture classes in college and continuing with stints building furniture, sets for museums and amusement parks (Harry Potter at Universal Orlando and Carsland at Disneyland), and custom fabrication for artists and organizations. 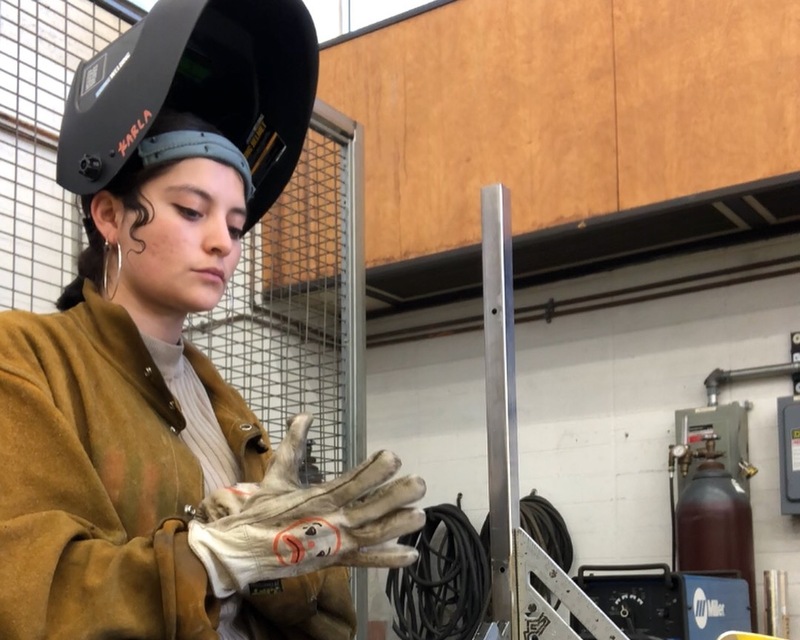 He has taught welding for about eight years and his enthusiasm has only grown, seeing the devilish grin on students’ faces as they too, learn to “build things for real” (student quote). He’s also a pretty good artist, working in wood and metal, usually motorized, and sometimes interactive. More work is on his art website (www.ojdingo.com). Dartmouth College, BA Psych and Studio Art double major; Stanford University, MFA Art Practice; and Central New Mexico Community College, coursework in welding and electronics. Arthur Kaplan grew up in Miami, FL before moving to Los Angeles 8 years ago to attend Art Center College of Design, where he could not be pried from the Model Shop. 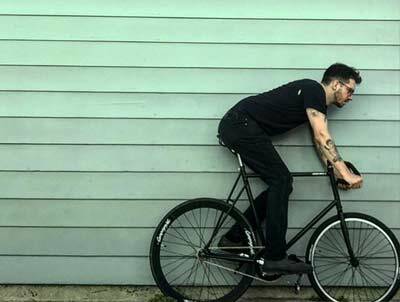 With over ten years of fabrication experience, Arthur has produced set pieces and props for various music videos films and commercials. His interests include Furniture Design, Tool making, product development, Jeep part fabrication, and long walks on the beach. Karla Canseco is an artist born and raised in Los Angeles, who is currently in residency at California Institute of The Arts. Two years ago she began welding as an integral part of her artistic practice. Since then, she’s worked primarily sculpturally with metal. She also welds for other Los Angeles based artists and found her place at MMW as a member before joining the wonderful team. Sara Caplan grew up in the great city of Houston, Texas. She studied philosophy in college and then spent some time as an animator with an art collective in Shanghai. 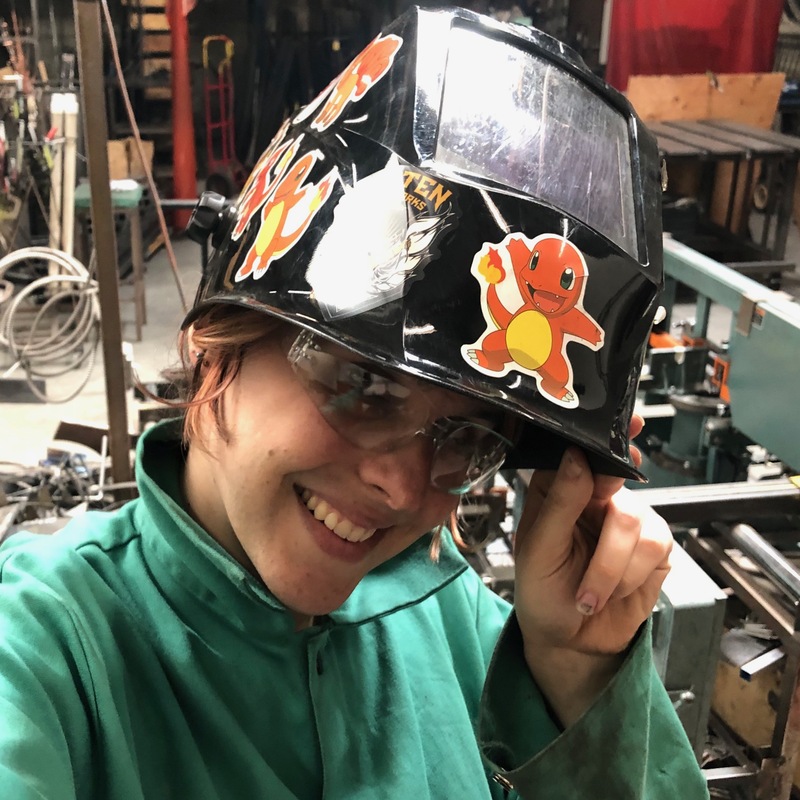 She moved to LA in 2016, where she spent a year making motion graphics before switching over to welding. She is the Office Manager and also one of the Sculpture Instructors.